We can support you while moving to the cloud! We provide architectural patterns, identity federation services, design of hybrid scenarios, and full migration. We can transform your business solutions into cloud SharePoint apps to make you flight to the cloud in first class. 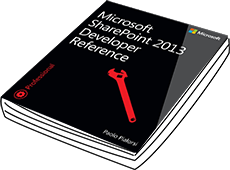 Is Your Sharepoint® Solution Working In The Right Way? Are you sure to get the best out of your Enterprise CMS? Are your servers fast? Are there any areas of improvement? Let our SharePoint® Certified Experts check your servers and give you the best solution for solving all your problems. Would you like to be assisted by an affordable team? Do you need to outsource the whole development process? Let us support you while modeling, developing and maintaining your SharePoint® custom solutions. Paolo Pialorsi, founder and CEO of PiaSys, is a well-known books author. He wrote several books for Microsoft Press about .NET, XML, Language Integrated Query, Windows 8, and SharePoint®, and Office 365. Want to develop new applications for your Enterprise? PiaSys works together with the DevLeap group of professionals, which are focused on providing consulting and development services in the fields of .NET and Universal Windows Platform Development. Feel free to contact us to analyze your requirements and define a custom proposal for implementing an architectural prototype or a complete software solution.